Two young women are sleeping rough in Glasgow to raise money for a charity that helps homeless people get back onto their feet. Stephanie Millar, 24, and Nicole Docherty, 21 will forsake the luxury of home comforts for a night in aid of CrossReach, the social care arm of the Church of Scotland. The hardy pair have initially set a target of £1,000 to support the Kirkhaven project in Dalmarnock area of Glasgow, which provides accommodation, support and social care for homeless men and women aged between 18-65 for between three months and a year. Staff provide a clean, safe and secure place to stay, thereby offering an alternative to rough sleeping and traditional homeless lifestyles and to assist individuals to develop the skills to maintain their own accommodation. 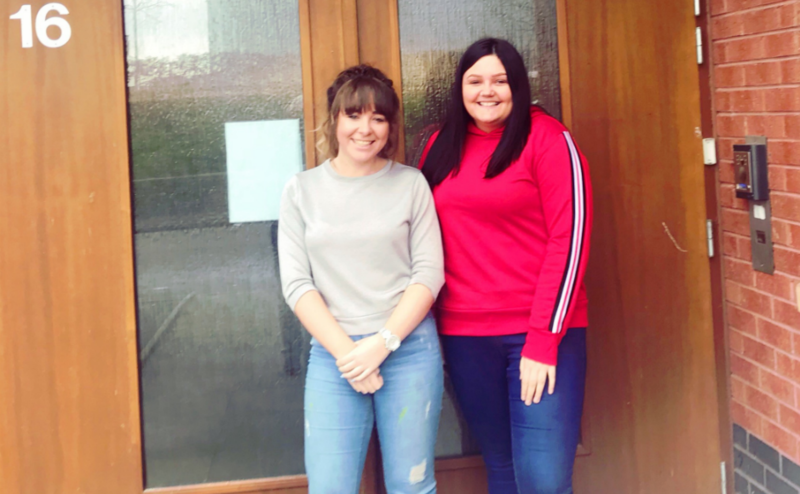 Miss Millar and Miss Docherty, who are currently on a 10-week placement at the re-settlement project, said they were struck by the fact that limitations in funding mean that staff have to raise money themselves to send service users on short respite breaks to a cottage near Pitlochry. 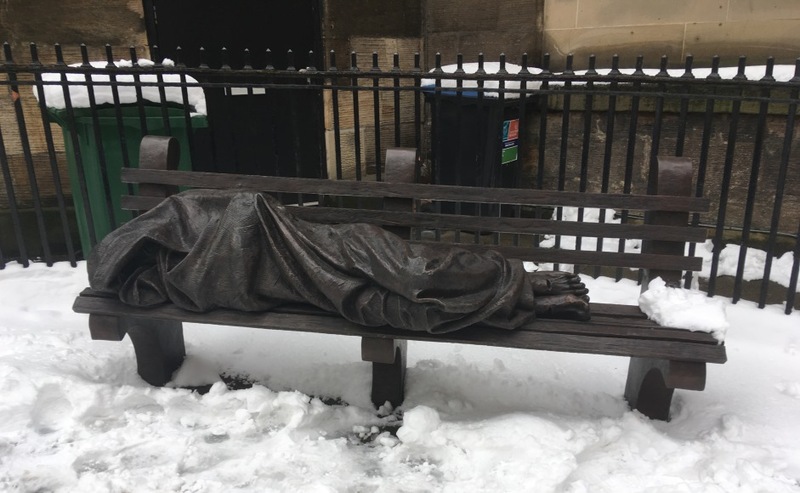 The University of the West of Scotland second year social work students decided that one night of rough sleeping in the city centre on March 15 would enable them to raise money and raise awareness of homelessness at the same time. Miss Millar said she and her friend had got to know people well at the 14-room facility over the last five weeks. "The main thing they spoke to us about was this cottage in Pitlochry", she added. "In the past they've had the cost funded by a third party but due to budget limitations this isn't available unless Kirkhaven provide their own funds." Miss Docherty added: "Going to the cottage seemed to be a highlight in their lives so we wanted to help them to go back there." Their fundraising page states that "a short break away is something that we all take for granted, but for the service users this can have a positive impact on their overall wellbeing." "For us, it's only one night, but for many it is the harsh reality of daily life". The pair are very much aware that spending a night on the streets is a risk but they insist that they are taking a range of sensible precautions including personal alarms and emergency phone batteries. Both women, who study at the university's campus in Paisley, have been particularly struck by the services available at Kirkhaven, which include advocacy work, harm reduction and addiction support. Miss Millar said: "Staff are there for clients 24/7." Kirkhaven manager Liz Leadbetter said: "We are delighted that our social work students at Kirkhaven are using their initiative and research to raise funds to enable our service users to sample some life experiences that a lot of us take for granted." "Their generous act will raise funds to support activities such as overnight breaks away, outings to the coast and encouraging and supporting lifestyle changes." To help Stephanie and Nicole meet their target go to their GoFundMe page.